When you own and operate a computer that is connected to the internet you are almost guaranteed at some point to download a virus. Computer malware and viruses can be incredibly harmful when they infect your PC. Not only do they slow your computer down but they also pose a risk to your computers secure data and personal information that is stored on the hard drive. Computer viruses and malware can often be incredibly tricky to completely remove especially if the virus is one of the more aggressive, nasty ones. New viruses are introduced into the viral world every day; ransomware being the latest in computer viruses to hit the internet. Ransomware is an incredibly nasty virus taking the online community by storm. This virus spreads quickly and is incredibly difficult to remove and the malware often locks you out of using your computer until you pay the ransom. Even professional computer virus removal companies are having to learn new ways to exterminate ransomware from personal computers. Often times the ransom is as expensive as purchasing a new computer. The moral being that it is important to know exactly what you are downloading and to be sure of the source you are downloading it from. There are a few different ways in which computer viruses that have infected your personal computer can be removed. PC repair specialists have tools to remove viruses, to ensure all the computer viruses are gone and to install anti-virus protection to avoid future virus infections. The two main methods of removing viruses are running scans and manual removal of computer viruses. Some companies offer online tools for removing viruses. Before giving personal information to any company selling online virus tools it is important to do your homework. To be safe when it comes to computer virus removal it is best to take your computer in to a certified technician that has knowledge of the different viruses that are infection computers. They also have all the tools right at their fingertips to properly remove any and all computer infections. Most computer repair stores can remove the viruses infecting your computer in a manner of a few days. To do a complete job they will run a number of scans until the computer comes back clean a number of times. They will also look into the files in your computer to find and files that look suspicious. Once this is complete they will often complete the virus removal with a proper computer tune up and installation of anti-virus protection. You can keep your computer clean and virus free using discretion when downloading software and online programs. If something looks suspicious or sounds too good to be true don’t click on the link. The minute the link is clicked you have given the virus free rein to your personal information and computers hard drive. 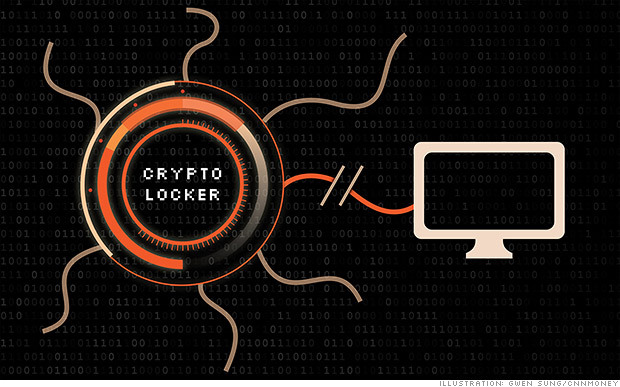 A major ransomware operation called Cryptolocker was supposedly halted by the FBI in May. Not so fast, security experts say. It’s only a setback. Cryptolocker used a massive network of hijacked computers called a “botnet” to spread the virus. The FBI, foreign law enforcement and private security companies teamed up to cut off communication between that botnet and victims’ devices. They seized Cryptolocker’s servers and replaced them with their own. But as antivirus maker Bitdefender points out, all that accomplished was to stop Cryptolocker’s virus delivery system. Cryptolocker lives on, and its criminal masters just need to find a new botnet to start delivering viruses to new computers once again. If the criminals tweak the virus’ code and find a different set of servers, law enforcement is back at square one. “All the attackers need to do is update the malware,” said Bogdan Botezatu, Bitdefender’s senior threat analyst. In just nine months, Cryptolocker had kidnapped the files of 400,000 people — most of them Americans. Victims were told to pay $300 within three days in order to receive the key to their files. Only a tiny fraction of them paid up, but the criminals still collected more than $4 million. “This is a cyber stickup,” said Julie Preiss, an executive at Damballa, a cybersecurity firm that assisted the FBI operation. Even after Cryptolocker was disrupted, victims can still pay the ransom. But without the ability to communicate with Cryptolocker’s network, the victims won’t be able to get the keys to unlock their files. Those are gone forever. And now copycats are popping up just about everywhere. Who gets caught in the NSA’s net? Cryptowall is the most widespread. Researchers at Dell SecureWorks took a tiny snapshot of the entire network and spotted 9,798 infected devices — about half in the United States. Among the damage: computer files at a small town’s police department in New Hampshire. SecureWorks researcher Keith Jarvis estimates Cryptowall is raking in about $150,000 a week. BitCrypt and CryptorBit found a sneaky way to avoid law enforcement by hiding the locations of the botnet’s servers. Researchers at ESET discovered a malware called Simplocker that hijacks files on Android devices. CryptoDefense is another raking in money. Stopping them won’t be easy, said Steven Cobb, a senior security researcher at ESET. Get used to the term ransomware. It’s here to stay.